You are entitled to see your own medical records at no cost. However, if you want to obtain a copy of your medical records, your hospital is likely to charge you a fee that covers the cost of producing those copies. There are a number of components of your medical records, including your doctor's notes about your medical history and family history, your test results, your treatment plan, your prescriptions, and your follow up visits. You are entitled to see and have copies of all of this information, with few exceptions. You are not entitled to see or have copies of your psychiatrist's notes, for example. Each state has its own laws about how much you can be charged for your medical records, whether paper, digital or another format. You can look up the fee rates provided by your own state government, such as the fees for Pennsylvania, and Georgia. Several patients' rights organizations also provide updated lists of the allowable fee for each state. The price that you may be charged includes the cost of copying and mailing the records, supplies, and labor costs for the time involved in copying these records. Hospitals and doctors offices are not permitted to charge you for the time spent in searching for your records and verifying your identity, despite the fact that this can take quite some time. The cost can vary based on a number of variables. For example, making a copy of an x-ray is expected to cost more than making a copy of an x-ray report. And a larger volume of films or pages typically costs more than fewer pages. In general, the first 20 pages of a paper version of a medical record may cost approximately one dollar per page, and each additional page may cost between 10 cents to 80 cents per page. Creating copies of imaging tests and biopsy slides may cost between $10 to $120 per slide or page of film. Keep in mind that electronic copies of your health records can be substantially less costly than hard copies, and may even be completely free. Because of your healthcare privacy rights under the Health Insurance Portability and Accountability Act of 1996 (HIPAA), your medical records are private. Health care providers are only permitted to grant access to your health records to you, your authorized representative, or another healthcare provider who is involved in your care. Often, within the same hospital or healthcare facility, different healthcare providers can easily access your electronic medical records by using their own individual passwords. This decreases the amount of copying and delay. When you go to a doctor or another provider with a different electronic system, you may need to request that your records are sent to your new providers. For this service, you may be charged a fee based on your state's permitted fee schedule. In addition to cost, there are other aspects of obtaining your medical records that you need to be aware of. 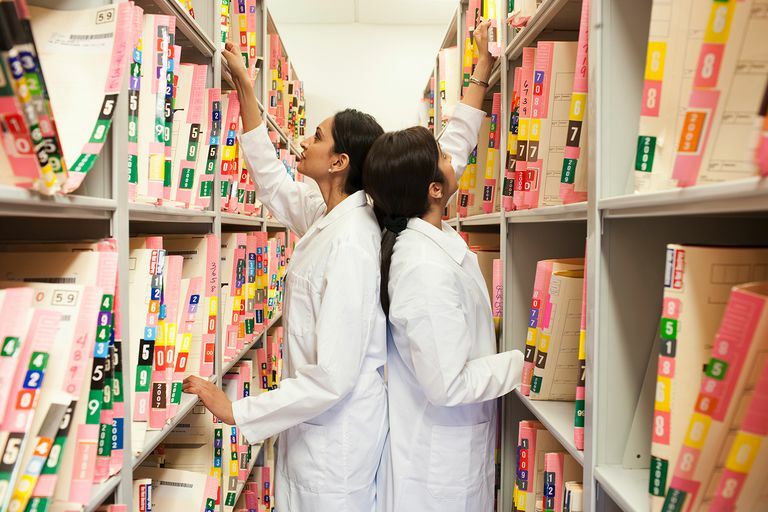 The Office of Health and Human Services has issued specific guidance about providing medical records. Your healthcare provider is not permitted to deny you a copy of your records because you have not paid for your healthcare services. Your providers must tell you up front whether you will be charged for copies and how much the fees will be. You have the right to receive a copy of your protected health information (PHI) in the format you request if it is readily reproducible that way. If it cannot be easily provided in the way you request (for example, if the provider has to purchase different software), then a hard copy, at cost, can be provided. Your providers must give you your medical records within 30 days of your request. If they cannot do that, they must provide you with an explanation for the delay within 30 days of your request. In some circumstances, you may run into problems getting your medical records. Your doctor may have retired or moved, and might not have saved them. There may be legal action between you and your doctor or your health insurance payer. Or the cost may be prohibitive for your budget. In these special circumstances, you need to investigate your rights further, and you may need professional legal assistance. There are a number of advantages to having a copy of your own medical record. You can read it and understand your own health better, you can catch errors, and you can easily share it with other providers if you seek a second opinion. Keep in mind that more health systems are giving patients direct access to medical records using patient portals. You may have a password that you can use to sign in to your own medical record. Of course, even with this feature, it is still very costly to print out copies of imaging tests, but you can more easily share your records with other health care providers if you have direct electronic access. How Private Are Your Medical Records?